Fall 1882: First services were held in Billings by The Rev. William Horsfall. Feb. 18, 1883: Bishop Leigh Richmond Brewer made his first visitation to the mission station of Billings. The new mission was organized during 1883. Fall 1883-1886: The Rev. Frank Lewis and The Rev. Alfred Brown came from Bozeman and Livingston to hold services in the Northern Pacific depot, an empty store, and finally in the “parlor” of the Park Hotel. The communicant list numbered 18, slightly over one percent of the Billings population estimated at 1500. A lot was selected for the construction of a mission building. February 14, 1886: The first morning and evening services were held in the new building at 1st Ave. South and South 29th Street. The initial subscription for building the mission was $1,200. A generous gift of several hundred dollars was received from members of St. Luke’s Episcopal Church of Rochester, New York. In appreciation, the Episcopalians of Billings named their new church in honor of this eastern parish. August 12, 1885: First recorded offering at Evening Prayer: $3.50. November 1887: The Rev. Albert Brown served as the first June 30, 1888 full-time vicar. He then retired due to poor health. August 11, 1888: The Rev. Charles H. Linley served as the Oct. 1890 fourth vicar of St. Luke’s Mission. July 2, 1891: The Rev. Herbert Giles Sharpley took charge of the Billings and Red Lodge missions. He resigned in June 1893 to work in the east. September 1, 1893: The Rev. Charles H. Reinsberg assumed duties as vicar. In 1894, the communicant list numbered 45 and the church school had 30 enrolled. The population of Billings was estimated at 2,000. August 11, 1895: Last service held by Fr. Reinsberg who accepted a call to New York, then to Alaska. October 1895: The Rev. Albert Carswell began a six year service as vicar. The membership increased to 55 communicants in 1900, and 60 in 1901. 1901: The last missionary vicar of St. Luke’s was The Rev. Anton T. Gesner. He stayed eighteen months. January 1, 1903: The Rev. Joseph J. Bowker assumed duties at St. Luke’s and as missionary to Carbon County. During his cure, building lots on the corner of Second Ave. No. and No. Thirty-Third Street were purchased at a cost of $1,100. In 1904, the population of Billings had risen to 5,447 and the communicant list totaled 101. In 1904, the new rectory was completed at a cost of $3,000. Oct. 26, 1905: The cornerstone was laid at the present church site. The estimated cost of completing the church was $10,000, with the debt not to exceed $2,500. The contract called for completion on January 1, 1906. The communicant list numbered 136. March 1906: Permission was asked for and granted for the organization of a self-supporting parish. June 1906: Diocesan convention in Billings formally admitted St. Luke’s Parish into union with the convention. Oct. 1, 1907: The Rev. Charles E. Tuke succeeded to the rectorate, serving for three and one-half years. Sept. 1, 1911: The Rev. John Philip Anshutz arrived at St. Luke’s. 1912: A “Guild Hall” was built under the church. 1913: Additional lots were bought on North Thirty-Third Street, just south of the church building. Elm and ash trees were planted around the property. 1920: Fr. Anshutz resigned and was succeeded by The Rev. Douglas Matthews. During Fr. Matthews’ service until the spring of 1929, the final payment was made of the debt incurred in the building of the church in 1905, and the communicant number rose to 400. Feb. 10, 1929 : St. Luke’s was formally consecrated by Bishop Faber and his co-adjutor, Bishop Herbert H. H. Fox. 1929 - Dec. 1934: The Rev. William T. Renison served as rector during the difficult Depression period. 1934: The Rev. Charles A. Wilson accepted the call as new rector. He resigned in 1939 to assume duties as dean of the cathedral in Helena. Oct. 1, 1939: The Rev. Elmer Millbrook Lofstrom assumed duties as new rector. He remained in Billings until 1942. 1941: Cardwell Hall was built. This was partially funded by a $10,000 bequest from the late Sarah Cardwell. 1942: The Rev. Henry L. Ewan was called as rector of St. Luke’s. He left in 1947. Feb. 1, 1948: The Rev. George Masuda was called as rector. Fall 1950: St. Luke’s arranged for the purchase of a plot of land at the corner of Meridian Street and Crawford Dr., for $6,000. St. Stephen’s Chapel opened on Aug. 18, 1952. The first curate was The Rev. John Hannahs. Jan. 1958: It was voted that St. Stephen’s change from mission status to parish status. This was approved by Diocesan Convention in May, 1958. 1959: St. Luke’s Memorial Foundation was founded to encourage, receive, and manage bequests and memorials. It endeavors to provide the life of the parish with long-range planning, which includes the physical plant of St. Luke’s, possible expansion in Billings, aid to seminarians and others in training, and the development of permanent parish programs. 1964: The first floor of St. Luke’s Memorial Hall (present offices and classrooms) was completed. An inside courtyard between the old and new buildings was created by the building of Memorial Hall. Fr. Masuda was elected Bishop of North Dakota. 1965: The Rev. Leigh A. Wallace was called as Rector, serving St. Luke’s for six years before he was called to Missoula in 1971. 1966: The second floor of Memorial Hall was completed. 1971: The Rev. Donald Mackay, III, was named as Rector, after having previously served St. Luke’s as Curate under Fr. Wallace. March 1978: The Tuttle Corporation was formed by seventeen St. Luke’s parishioners who contributed capital (totaling $195,250) to the Corporation to buy the property to the south of the present church property along No. 33rd Street, to provide for future land needs of the church. The idea was that at such time as the church needed the property, the stockholders would contribute their stock (3 shares each) to the church, and the church would then liquidate the Corporation and take ownership of the property. June 1983: Philip Fortin Memorial Chapel of Christ the King is established through a remodeling project, with funds from St. Luke’s Memorial Foundation and Mary Alice Fortin, in memory of her husband, Philip. August 1983: Ralph and Julia Burris Memorial Scholarship was established by Robert Burris, to be awarded annually to a graduating senior who is a member of the parish and plans to attend college. 1984: Property on corner of Second Avenue North and North 32nd Street is purchased for $125,500. Property was paved and used as a parking lot for parishioners use. April 15, 1990: Fr. Mackay celebrates his last service at (Easter Day) St. Luke’s before leaving to accept a call to a parish in Kirkland, Washington. Aug. 15, 1990: Jerry Jasmer ordained Deacon and assigned to serve at St. Luke’s. 1992: The Rev. Thomas K. Turnbull is called as Rector, resigning in December, 1993, for health reasons. 1993: Stained glass memorial windows on north side of nave are moved to the chancel area, and colored glass windows on the south side of the nave are removed for future use in Cardwell Hall. A local artist, David Barnes, is contracted to draw plans for new stained glass windows to be installed on south side of church. July 3, 1994: The Rev. Gary B. Waddingham is called as Rector. Winter 1994: Renovation of kitchen and Cardwell Hall begins with monies from the Robert and Helen Waters Fund and a bequest from Cyril Cox. Colored glass windows formerly in the church are hung in Cardwell Hall. Spring 1995: Renovation of kitchen and Cardwell Hall is completed and dedication is observed. Tuttle Corporation has buildings on the property to the south of Cardwell Hall torn down, and green space is developed on the property with money from the Cyril Cox bequest. June 1995: Guild Room refurbished and a plaque is hung honoring all the women’s guilds. Nov. 19, 1995: Green space to the south of Cardwell Hall is dedicated and named Tuttle Park, honoring Bishop Tuttle, Missionary Bishop of Montana. A plaque is installed listing the names of stockholders of the Tuttle Corporation who donated the property to the church. The John and Felicia Marshall garden is established, honoring them for planting flowers and caring for the grounds. Nov. 15, 1997: Deacon Jerry Jasmer is ordained Priest, serving St. Luke’s and communities in eastern Montana. Dec. 21, 1997: A columbarium installed in the Philip Fortin Memorial Chapel is dedicated. Spring 1999: Glass are installed on the south side of the nave. December 1998: Stained glass window made by Willet Stained Glass Studios, depicting St. Luke the artist, is installed on the north side of the nave. Aug. 20, 1999: Stained glass window made by Willet Stained Glass Studios, depicting St. Luke the physician, is installed on the north side of the nave. July 18, 2000: Stained glass window made by Willet Stained Glass Studios, depicting St. Luke the Missionary, is installed on the north side of the nave. Sept. 11, 2000: Stained glass window made by Willet Stained Glass Studios, depicting St. Luke the Writer, is installed on the north side of the nave. Nov. 2. 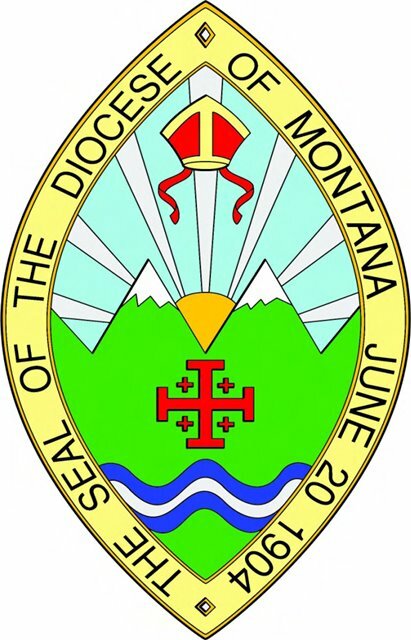 2003: The ninth Bishop of Montana, The Rt. Rev. C. Franklin Brookhart, Jr. blessed St. Luke’s new Child Enrichment Center (preschool). The preschool occupies the upper floor of Memorial Hall and resulted from a $200,000 renovation of that space. All of the cost of the renovation was given and pledged by members of the parish. Summer 2004: In 2004 due to a grant from the Hermoyne Eckroth Trust, the nursery on the first floor of Memorial Hall was re-furbished along with the old treasurer’s office. This allowed the Child Enrichment Center to offer baby care for eight infants during the working hours of the week. October, 2005: During October the cornerstone of St Luke’s interred by Bishop Brewer in 1905) was disinterred. The contents, including gold coins and a hand written list of the 1904 membership, were displayed. On November 5th (All Saints celebrated) after a splendid Evensong, a gala dinner celebrating the 100th anniversary of our current building was celebrated. May 26, 2013: Fr. Gary Waddingham retires after nineteen years of service to St. Luke's. June 1, 2013: The Rev. Dr. John Toles is hired as long-term interim rector, which ended on January, 28, 2015. February 3, 2016: The Rev. Melinda St.Clair conducts her first service as rector.